By Andrew Wainer, Director of Policy Research at Save the Children U.S. The Panama Papers revealed global elites’ maneuvering wealth around – and through – a porous international tax infrastructure. While international tax malfeasance is not always strictly illegal, it also isn’t necessarily victimless, particularly in the developing world. The impact of tax avoidance is particularly stark in the Northern Triangle – Guatemala, Honduras, and El Salvador – where regressive taxation and the lack of the rule-of-law are grimly intertwined. Latin America remains the most unequal region in the world and the Northern Triangle is notoriously poor at taxing and spending equitably. While some Latin American nations employed progressive taxation to reduce income inequality during the 2000s, regressive tax policy in Central America exacerbated its already severe inequality. In recent years, Guatemala had the lowest (12%) tax-to-GDP-ratio of any country in Latin America and Honduras and El Salvador were only slightly better. By comparison, Brazil’s tax-to-GDP rate was 36% and Denmark’s was 48%. And poor communities are disproportionately its victims. According to, La Prensa newspaper Salvadorans pay $400 million annually in extortion, Hondurans pay $200 million, and Guatemalans pay $61 million. Poor Central Americans caught in the middle of formal, legal tax structures that privilege the rich and illegal practices that target the poor. Small businesses are typically more vulnerable to extortion because they often can’t pay for private security services. El Salvador’s small business association states that small business owners pay $30 million per month and that 10 small business close each month due to extortion. But the economic impact of extortion is comparatively mild compared to the violence that surrounds it. Poor Central Americans can risk their lives if they refuse to pay the region’s gangs: La Prensa states that more than 300 bus drivers were killed in recent years due to extortion. In October 2015 television comedian Jimmy Morales won a landslide victory in Guatemala’s presidential election based on public outrage regarding a customs tax scandal that landed the previous president in jail. The emphasis on the fair collection and spending of public revenues is crucial to strengthening the rule-of-law and reducing the violence that has driven tens of thousands of children from the Northern Triangle. Given the myriad socioeconomic challenges facing the region and the resources needed to address them, the growing focus of US foreign assistance on strengthening tax systems is timely and encouraging. Fear of child trafficking causes a nearly constant undercurrent of terror in Bolivia’s parents. On my recent visit to Bolivia to gather stories of our work there, I talked with lots of parents. I spoke to subsistence farmers working in the lowlands to provide for their families. I talked to street merchants in the desolate high plains. I even listened to the ladies at a trendy coffee shop who reminded me of my mom friends back home. They all had one thing in common – they were terrified that their children would be kidnapped and trafficked. Bolivia’s parents told terrifying stories about babies snatched and sold for illegal international adoptions. About children taken and traded for drugs or forced to labor in the silver mines or picking cocoa leaves. About girls, especially vulnerable, sold into brothels. Country girls who are lured into big cities with the promise of a job in a shop or as a nanny, only to be forced to work as prostitutes. With guards standing at the door, these girls are raped, abused and drugged. They’re forced to sell their young bodies for less than $2 a client, and after paying brother owners, they barely survive day-to-day. 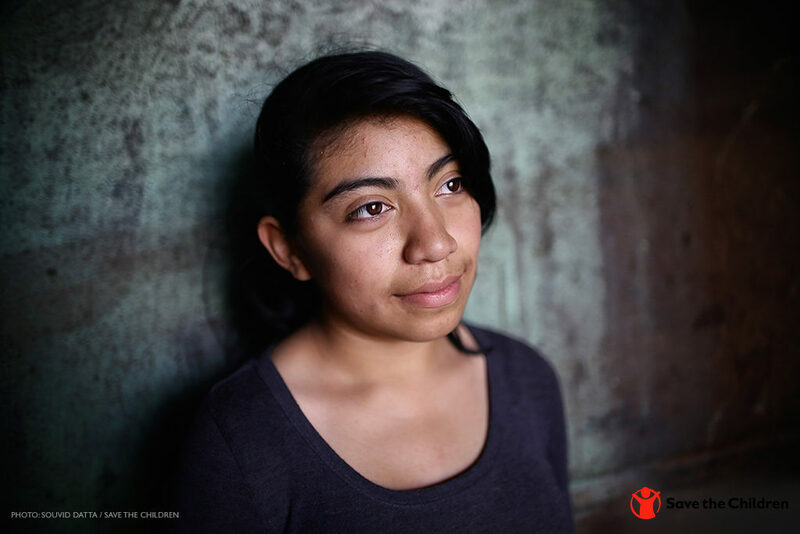 In Bolivia, my Save the Children colleagues help girls recover from the terrors of trafficking. In collaboration with our partners who rescue girls from brothels, we run programs at safe houses and community centers to help these girls rebuild their lives. 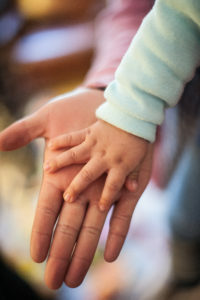 For those who are pregnant or have babies, we teach first aid, child care and other essential skills, so they can take care of their own children and qualify to work as nannies or daycare providers. We empower girls to imagine a future for themselves and their children far from the red light districts. But we need to reach more of them. We need to ensure Bolivia’s parents no longer have to fear the terrors of child trafficking. As dusk began to fall on our way to the airport on my last day in Bolivia, I could still see the red lights glowing in the rearview mirror. From the terrors and trauma of the red light district to a safe place where Sylvia can dream of a better future. Sylvia* grew up under the hazy, red lights of a brothel, run by her stepfather. Still a child herself, she has a 2-month-old baby boy, conceived when she was raped. Her baby smells of sweet innocence, even though she was robbed of her own. Sylvia’s early childhood was scary and unstable. Her mother and father were alcoholics, physically abusive, and the family moved around a lot. Her father would threaten to beat Sylvia and her brother for even minor misbehavior, such as not finishing their supper. She lived in constant fear, particularly for her brother, who took the brunt of the abuse. Then, her parents separated. Eventually, the law caught up with Sylvia’s family, and they were convicted of trafficking. That’s when she was referred to a safe house where Save the Children runs programs for girls like Sylvia. 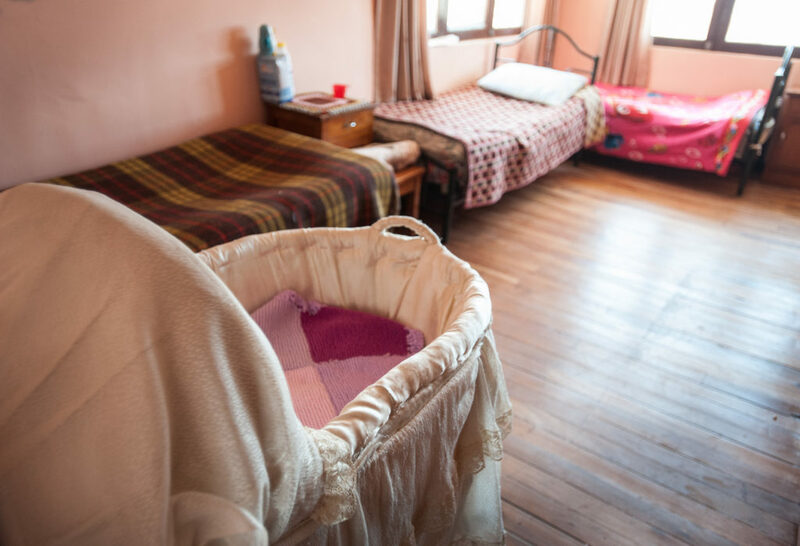 The room at the Save the Children safe house that Sylvia shares with her son. When I visited Save the Children’s safe house, Sylvia proudly showed me her bright, sunny room, girlish and pretty like she is. It’s a typical teenager’s room – except for the bassinet. Finally, thanks to Save the Children’s supporters, Sylvia has a caring, secure place to call home. “I sleep well here, I feel safe,” she says with a wide smile. Now Sylvia can dream of a better future. To learn how you can help children like Sylvia, visit our website.